Photos: On Holly. Gougane Barra, Co. Cork, SW Ireland. Thin pale grey or green-grey thallus. 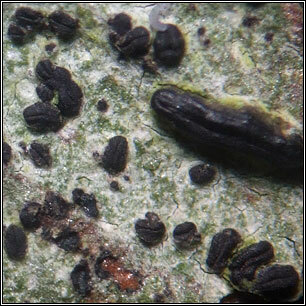 Numerous tiny, straight, slightly curved or +/- gnarled lirellae (0.5-1.5mm in length) are clustered but not overlapping, the discs narrow and slit-like. True exciple is not furrrowed and continues below hymenium. Pyncidia frequent. 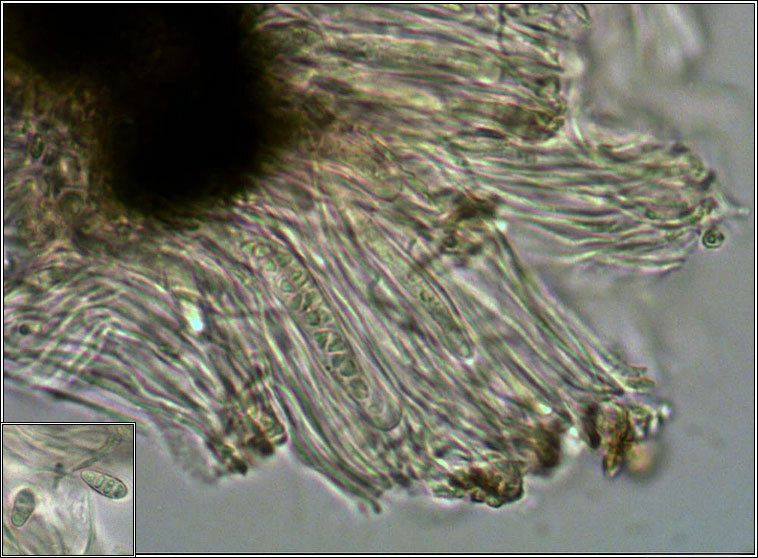 Ascus 8-spored, spores sub-muriform, 13-15 x 5-6 µm. Microscope photo below. Similar to some small bark fungi. 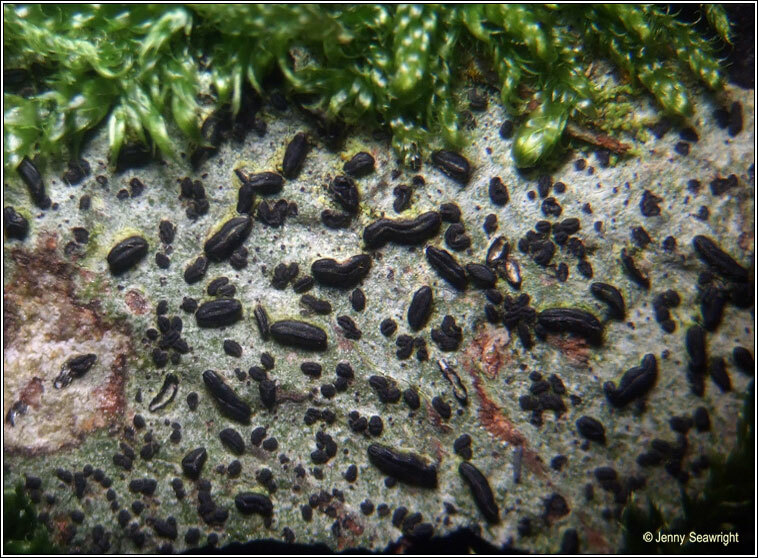 Found in moist woodland on smooth bark of Holly, Birch, Hazel, Oak and Rowan. Scattered records in Ireland from Co. Cork, Wexford, Clare and Donegal. Lichen products absent. 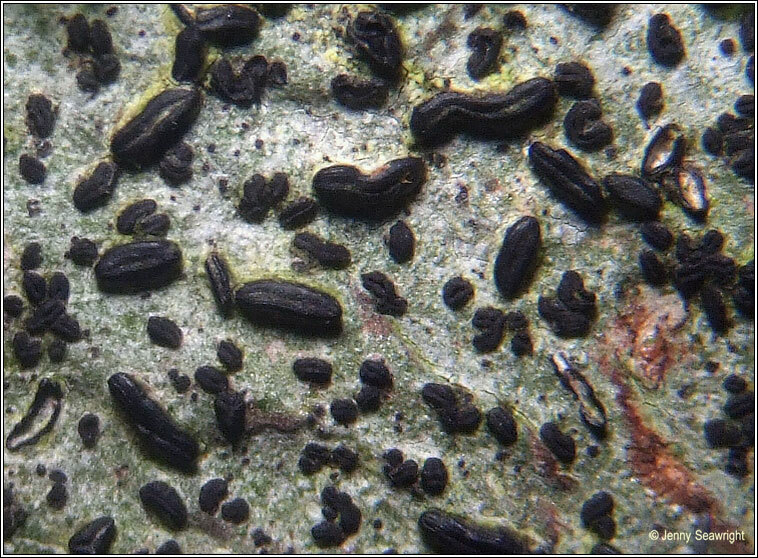 There is a possible parasitic relationship as Graphina pauciloculata can occur on the same thallus as G. ruiziana (larger apothecia).